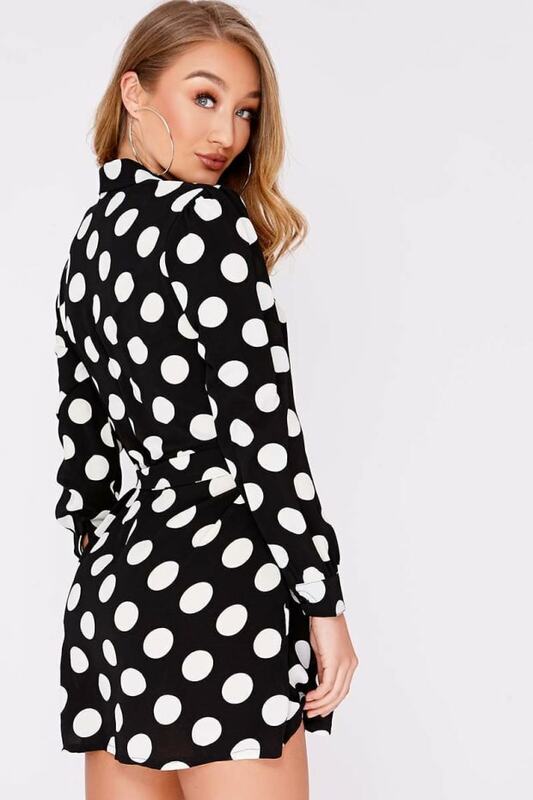 We've got you covered this season with the chic wrap dress. 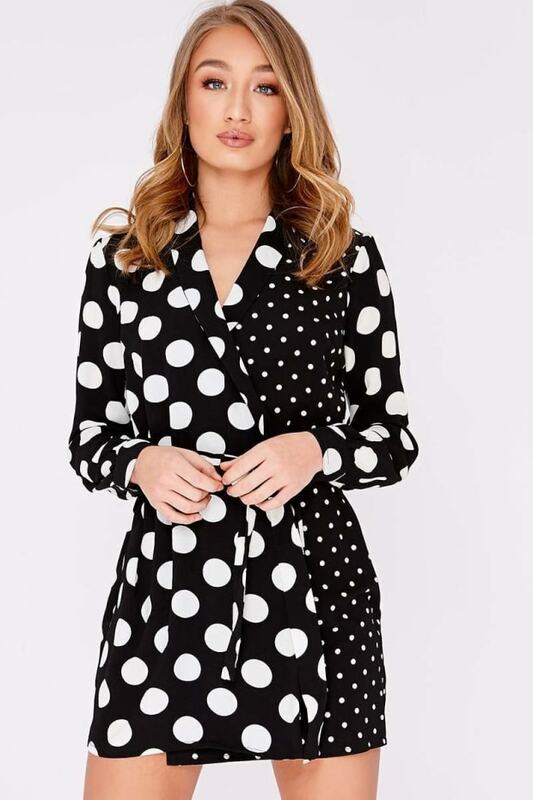 This black and white contrast polka dot dress featuring long sleeves and a tie waist is the perfect addition to your new season wardrobe! Style with killer heels for a party ready look.